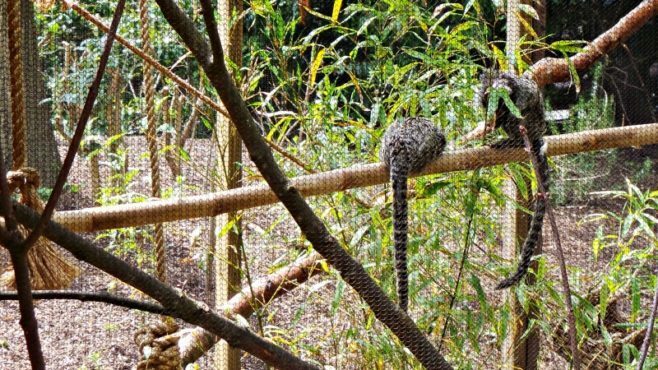 The trail takes visitors across eight new enclosures housing a variety of species such as the White Lipped Tamarin, Red Handed Tamarin, Emperor Tamarin, Cotton Top Tamarin (my favourite) and the Common Marmoset. We sadly missed the grand opening at Easter, however, we did manage to visit during Whitsun week and the children were especially excited to see the new trail as we walked through the Drayton Manor Zoo (we hadn’t told them about it so with was lovely to see their faces when they came across the new area). 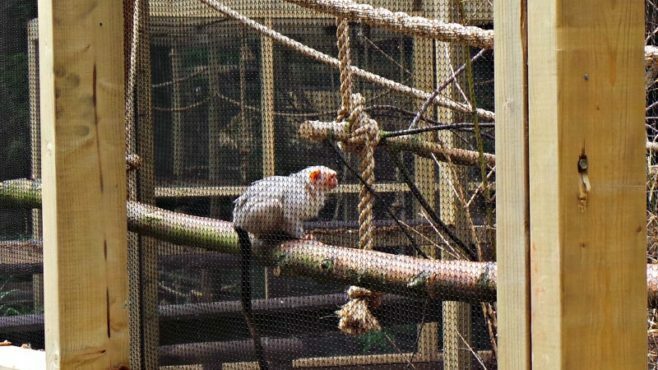 The new trail features a selection of walkways were you are able to get up close to the different Tamarin species. The trail is set within a woodland feel that had it not been for the cages you could be walking through a woodland trail and happened to have come across a Tamarin or two. As you walk around the walkways you are able to watch the different Tamarin’s as they climb and move around their environment. As the children looked at each of the areas they tried to copy whatever the Tamarin’s were doing, really funny to watch but I’m not sure what the other visitors thought! 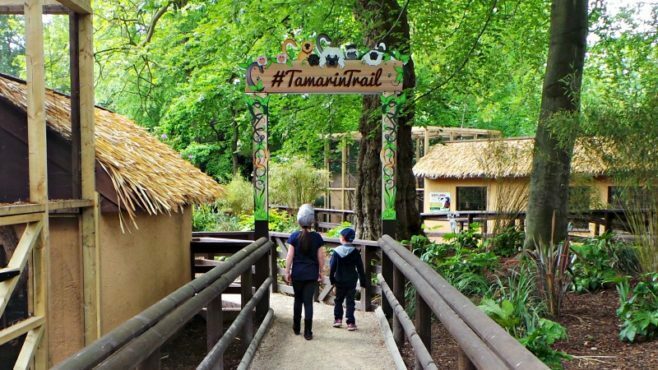 Don’t just take my word for how beautiful the new Tamarin Trail is, the lovely Emma from Mrs Shilts attended the opening event, pop over to her blog to see what she thought of the Tamarin Trail. 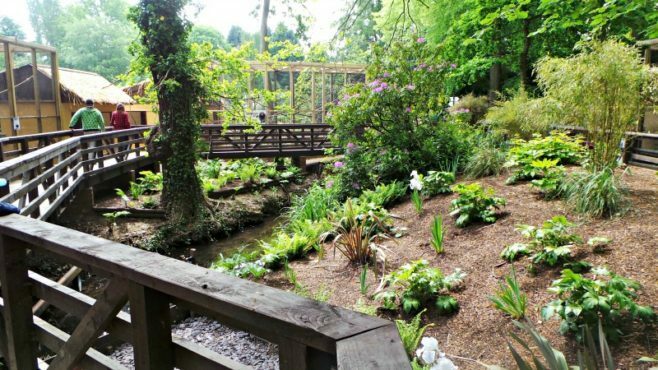 When will you be visiting the Tamarin Trail at Drayton Manor? I love the sound of Drayton Manor, it sounds such fun for kids of all ages with so many different things on one site. 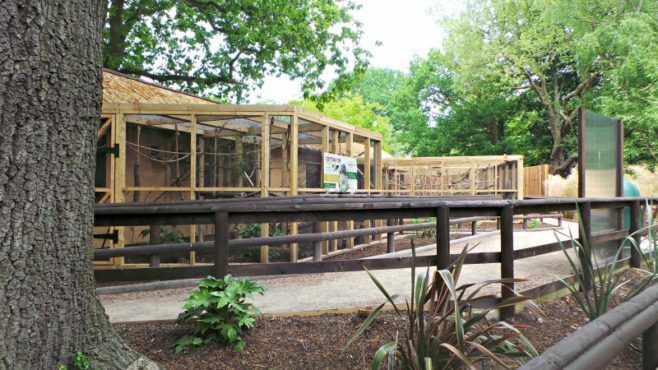 the new trail is a lovely addition to the range and tamarins an unusual but interesting animal to choose. It made me smile to think of your children copying the tamarins, I bet they had some strange looks.